The Trump White House doesn’t exactly have a great – heck, even decent – reputation when it comes to gay rights, so it may come as a surprise that the administration is beginning a global initiative to end the criminalization of homosexuality. According to NBC News, the U.S. will team with the UN and socially progressive countries to pressure countries in the Middle East, Africa and the Caribbean that jail or even execute LGBTQ people because of their sexuality. Richard Grenell, who currently serves as the U.S. ambassador to Germany, is taking the lead on this project, presumably in part because he is the highest-ranking LGBTQ official within the administration. I wish I could stop this article right here with a simple commendation for tackling a human rights issue that no one would have expected Donald Trump and his team to touch, but the matter is unfortunately much more complex than that. Though the White House has yet to work out any specific details about how the initiative will operate, it does already have a prime target: Iran – that same country that the president is always looking for trouble with through his foreign policy decisions. Consequently, Vox wondered aloud if this effort is really just part of a greater plan to vilify Iran and push progressive minds over to Trump’s side. 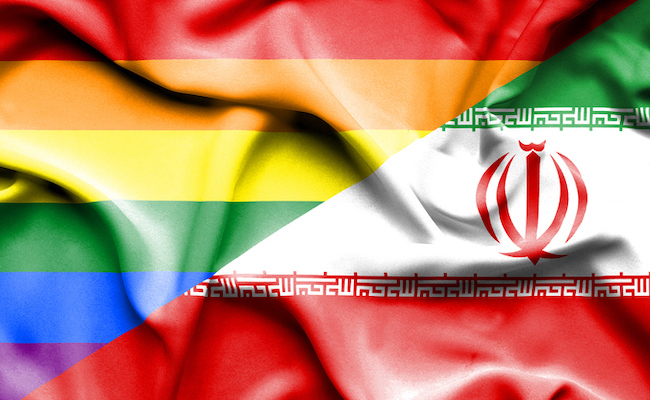 That’s not to say that Iran’s treatment of LGBTQ people doesn’t warrant serious scrutiny and condemnation. Reportedly, a gay man in Iran was hanged just last month after violating laws pertaining to homosexuality. However, even Out Magazine, a publication you’d have to assume would be excited about this global initiative, called it a “racist tactic” and “another instance of the right using queer people as a pawn to amass power and enact its own agenda.” Writer Mathew Rodriguez compared it to Trump’s reaction to the Pulse nightclub shooting where instead of advocating for LGBTQ rights he used it as an excuse to amplify Islamophobia. Look, there are plenty of LGBTQ people who needlessly suffer in the approximately 70 countries that criminalize homosexuality around the globe, so an effort to squash that could save a lot of lives – even if the U.S. is spearheading it for the wrong reasons. We’ll have to wait and see whether this is grandstanding by the White House or something they’re willing to follow through on – and whether Trump folks are willing to exert as much pressure against allied countries that outlaw homosexuality as they do rival nations. In the meantime, if the Trump administration wants to avoid having their motives questioned, it can start by looking inward when it comes to gay rights. This is an administration that thinks it’s okay for businesses to discriminate against LGBTQ people, senselessly blocks trans people from serving in the military and appoints loads of anti-LGBT judges to federal courts. Remember, Trump once “joked” that his own VP Mike Pence would hang gay people if he could, so there’s reason to be wary of the intentions here. For the sake of the countless people across the world who are considered criminals because of their sexual orientations, though, I am cautiously hopeful progress can be made. Trump ONLY ever works for Trump's own interests. Everyone else is incidental. I guess the only way to beat Trumpâs policies for good is to find something in his interests that also serve our interests. Non zero sum game right? Either way, while it is suspicious, it is at least better than just leaving his ways be.